May 27, 2009 - In an effort to promote their books, six children’s authors published by Guardian Angel Publishing team together to tour the blogosphere in a two-week long virtual book tour. 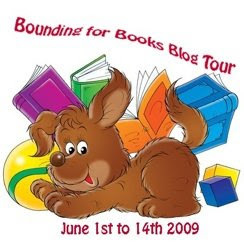 Bounding for Books Blog Tour will last from June 1st until June 15th. Blog stops will include reviews, interviews, spotlights and inspirational articles. People who leave comments will be eligible for prizes. Aggressive book promotion is a must these days for all authors, but especially for small press authors whose publishers don’t have the resources for expensive advertising. It’s wonderful to see authors team together like this in order to bring visibility to their books and their publisher. For readers and book lovers alike, this is a wonderful opportunity to check out the latest print and electronic titles for your children’s summer reading. Author Renée Hand will be going on a virtual book tour in June with Pump Up Your Book Promotion. She'll be discussing the first book in her new interactive children's detective series, The Crypto-Capers. 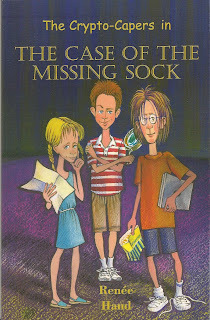 In The Case of the Missing Sock--which we reviewed here--the Crypto-Capers go to Florida to investigate the theft of a missing sock. Readers can also check out the author's website at www.reneeahand.com for more Crypto-Capers fun and to join The Crypto-Capers Fan Club! 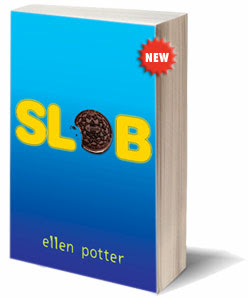 Both funny and poignant, I never knew I could enjoy a middle-grade novel as much as I did SLOB by Ellen Potter. Owen Birnbaum is fat. But he wasn't always that way. Something bad happened and now he's the fattest kid at school, spending his days being teased endlessly by his classmates, afraid that the new school psycho who carries a switchblade in his sock is out to get him, tortured by his cruel gym teacher, and dealing with his sister who has decided she wants to dress and look like a boy and be called Jeremy. Life isn't all bad though. Owen is a genius and he can invent cool stuff, like a TV that shows the past--a past that is scary, but one that can answer the questions burning inside his head...if only he can get it to work. When the Oreos from Owen's lunch keep disappearing, he's sure the school psycho is the culprit. Owen puts together a plan--along with a neat new thief catching device--to help capture the Oreo snatcher. What he doesn't consider, however, is that science might not hold all the answers. My unprofessional review is: I loved, loved, loved it!!!! My professional self says that every middle-grade reader will find something to enjoy in SLOB. More than a story about an overweight kid who is teased profusely, SLOB is the story of one boy's quest to uncover the truth about the tragic event that altered his life forever. Speaking directly to the reader, Owen shares his struggles at school--which stink, but he's not overly upset about because he's smarter than all those guys anyway, his sister's involvement in GWAB (Girls Who Are Boys), the torture he endures at the hands of his gym teacher Mr. Wooly, and how things change for him once the psycho comes to school--not only is Mason Ragg a psycho, he's a smart psycho. Opening with the line, "My name is Owen Birnbaum, and I'm probably fatter than you are. ", Owen does not suffer from low self-esteem, as one might imagine. His being fatter than you is "pure statistics". Immediately, the reader is drawn in by Owen, and Owen is so entertaining and engaging that the reader will never want to stop learning more about him until the last page of the book. But then again, if the reader is anything like me, she's hoping for a sequel. The contraptions Owen invents are amazing, and Owen describes them to you in detail and shares how they work. I can see a lot of middle-grade boys trying to recreate or improve upon Owen's inventions after reading SLOB. Potter has done such an excellent job of making Owen real for her audience that you'll soon forget that an adult woman wrote this book. And if parents are cool enough to pick up a copy of SLOB or to sneak their child's copy when he/she is off at school, they will be treated to references to The Brady Bunch, Happy Days, Mork and Mindy, Charlie's Angels and other hits shows from their youth. Of course, in Owen's world they are Retro TV, but we adults like to call them classics. I have to admit Owen's mother's name--which is Zelda--reminds me of The Legend of Zelda game my son played on his original Nintendo video game system. Gosh, I'm as old as dirt! I highly recommend SLOB by Ellen Potter. Funny and offbeat, yet equally poignant, SLOB is destined to add more awards to this talented author's portfolio. Today's guest blogger is Kathye Quick. Kathye has been writing since the sisters in Catholic School gave her a #2 pencil and some paper with ruled lines. From stories about her family for Writing Week in fifth grade, to becoming editor-in-Chief of her high school newspaper, The Blueprint, to 1999 when she realized her dream of being published, Kathye’s love of the written word span numerous genres. She writes contemporary and career romances for Avalon Books, romantic comedy and historicals for Wings Press, urban fantasy for Cerridwen Press, and most recently medieval historical romances for Wild Rose Press. 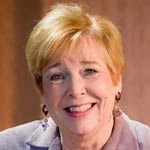 Kathye is one of the founders of Liberty States Fiction Writers, a group launched in January 2009 to help writers of all fiction genres in their journey to publication. 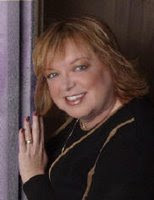 She has been a member of New Jersey Romance Writers and Romance Writers of America since 1988 and considered it an honor to have been NJRW President in 1992 and 2001. In her “other” life, Kathye works for Somerset County government. She is married with three sons. 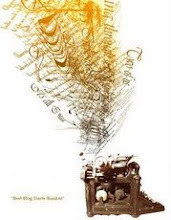 Kathye will be talking about the different subgenres of romance she writes and telling us about her latest release, Cynthia and Constantine (The Wild Rose Press). When I began to write, I was told to write the book you want to read. What came to mind almost immediately was a book on the wonderful myths of the Greek gods and goddesses. Later I found out it was the high school mythology class celebrating the Ides of March. From that day on I was hooked on the myths and legends. I could not get enough of them. When it was time to write my first novel, I wrote DAUGHTERS OF THE MOON, a Greek historical romance. But that was in the early 90’s. It was a 100,000 word novel of love that no one wanted to even look at back then. Still I persisted in sending it out until I finally had to give up when one editor specifically said no books set in ancient Greece during a talk. I knew she had to be talking about me. Maybe she was, maybe she wasn’t, but I put it away for a while and switched to contemporary romance. While my heart was always in Greece, I did rather well writing and ultimately selling contemporaries. My first ONE RAINY NIGHT sold to an eBook house in 1999, back in the day when eBooks had just been born. That particular house is no longer in business, but ORN has found a home with Wings ePress. And in 2003, so did DAUGHTERS OF THE MOON, I am happy to report. DAUGHTERS been heralded as a fascinating glimpse into the world of the ancient Greeks and has garnered 4-star reviews. I would like to think I helped break that ground because now there are plenty of Greek gods and goddesses living on bookstore shelves now. While my contemporaries are alive and well, I have a three-book series coming out this year from Avalon Books, I still love the old days, especially ancient Greece and also the Arthurian Legend. I have always loved the adventure and story lore of Camelot. When I was a very little girl, and I know I’m dating myself now, there was a black and white television program on called “Tales of Sir Lancelot.” I watched it religiously. I wish I could find it now just to have on DVD to reminisce. I chose to write CYNTHIA AND CONSTANTINE, a story from the Arthurian time because it is so much a part of me. I could watch Camelot with Richard Harris every day. So now I find myself writing in many genres – contemporary, romantic comedy, historical and even urban fantasy (as P. K. Eden with writing partner Patt Mihailoff from RWA-NYC). I know we, as writers, have been told to stick to one genre, but I can’t seem to do that. There are too many people and stories in my head. I have to get them all out of there. Thank heavens for Bluetooth. When I’m talking to all those characters, people just think I’m on the phone! Thanks for having me today. If you have time, please visit my website at http://www.kathyequick.com/ or my alter ego P.K. Eden’s at http://www.pkeden.com/ and you can check out the different stories I have managed to get out of my brain. Lady Cynthia of Abertaine is trapped. Not only has her fiancé, Sir William Leyborne, not been back to the castle for over ten years, but she’s also not a titled Lady. Lord Simon of Cowell, a renegade warlord aligned with Mordred against Arthur and his Knights, has declared himself sovereign over Leybourne Castle and everything that once belonged to Sir William--including Cynthia. You can find Hazel online at www.hazel-statham.co.uk. 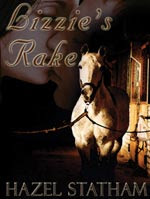 Hazel Statham’s virtual book tour is brought to you by Pump Up Your Book Promotion Virtual Book Tours, a virtual book tour agency for authors who want quality service for an affordable price. More information can be found on their website at www.pumpupyourbookpromotion.com. 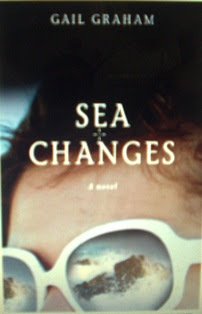 Join author Gail Graham as she travels the blogosphere in June 2009 with Pump Up Your Book Promotion Public Relations on her first virtual book tour to discuss her latest literary novel, Sea Changes (Jade Phoenix Publishing). 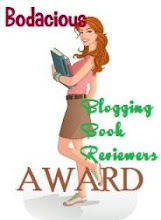 If you would like to follow Gail Graham on her virtual book tour, visit the official Pump Up Your Book Promotion Virtual Book Tour site at http://virtualbooktours.wordpress.com/. Gail Graham’s virtual book tour is brought to you by Pump Up Your Book Promotion Virtual Book Tours, a virtual book tour agency for authors who want quality service for an affordable price. More information can be found on their website at www.pumpupyourbookpromotion.com. 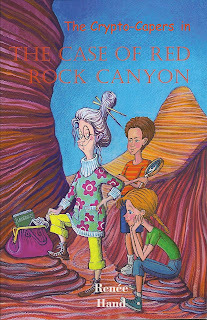 Join author Renée Hand as she travels the blogosphere in June 2009 with Pump Up Your Book Promotion Public Relations on her first virtual book tour to discuss the first book in her new children’s detective series, The Crypto-Capers in The Case of the Missing Sock (North Star Press of St. Cloud, Inc.). The Case of the Missing Sock leads the Crypto-Capers to Florida, where they are hired by a Mr. Delacomb. The mystery leads the team to different locations. Clues flourish throughout the mystery. Suspects by the handful seem to pop up at every turn, but who committed the crime? Renée Hand is the award-winning author of Magic Hearts and Seduction of the Lonely Heart. The first two books in her new children’s detective series, The Crypto-Capers have recently been released by North Star Press of St. Cloud, Inc.
You can find Renée online at www.reneeahand.com. If you would like to follow Renée Hand on her virtual book tour, visit the official Pump Up Your Book Promotion Virtual Book Tour site at http://virtualbooktours.wordpress.com/. Renée Hand’s virtual book tour is brought to you by Pump Up Your Book Promotion Virtual Book Tours, a virtual book tour agency for authors who want quality service for an affordable price. More information can be found on their website at www.pumpupyourbookpromotion.com. Join author Joey Asher as he travels the blogosphere in June 2009 with Pump Up Your Book Promotion Public Relations on his first virtual book tour to discuss his new business book, How To Win a Pitch (Persuasive Speaker Press). Joey Asher is one of the country’s preeminent experts on selling skills and communication. As President of Speechworks, an Atlanta-based communication and selling skills coaching firm that has been helping business people deliver presentations that win business for over 20 years, Asher combines his skills as an attorney and journalist to help sellers communicate a clear, simple message that connects with prospects and wins business. Asher is author of Even a Geek Can Speak: Low-Tech Presentation Skills For High-Tech People, which was originally published by Longstreet Press in 2001 and is now in its third printing by Persuasive Speaker Press, and Selling and Communication Skills for Lawyers, which was published in 2005 by American Lawyer Media. 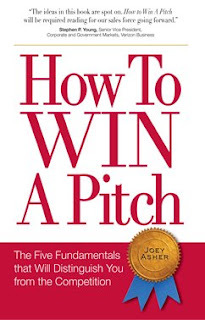 How to Win a Pitch: The Five Fundamentals that Will Distinguish You from the Competition is his latest book. A graduate of Cornell University, Asher earned his JD from Emory University Law School. Prior to attending law school, Asher worked as a newspaper reporter for the Gannett newspaper chain in Georgia and New York. Asher practiced law with Troutman Sanders L.L.P. in Atlanta, and worked as an adjunct professor of law at Emory University School of Law. You can find Joey online at www.speechworks.net. If you would like to follow Joey Asher on his virtual book tour, visit the official Pump Up Your Book Promotion Virtual Book Tour site at http://virtualbooktours.wordpress.com/. Joey Asher’s virtual book tour is brought to you by Pump Up Your Book Promotion Virtual Book Tours, a virtual book tour agency for authors who want quality service for an affordable price. More information can be found on their website at www.pumpupyourbookpromotion.com. Someone recently drew my attention to a promotional video for Across the Pond by Storyheart. 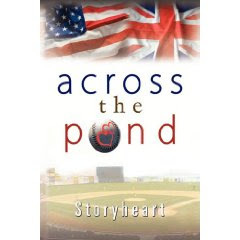 Across the Pond is a teen romance between Fred, a boy visiting the United States from England, and Brittany, whose parents are entrusted with Fred's care while he is in the States. We reviewed this title here. One of the things that can be most challenging about book promotion is to find a unique angle. Barry Eva, the writer known as Storyheart, did just that when he created this silent movie video trailer to promote Across the Pond. It looks like he got some help from his family. What do a naive and deeply sensitive college student, a modern-day Zorro who goes around slashing the rear ends of women in mini-skirts, a smug and selfish artist with a love of LSD, an ex-husband with his eye on revenge, a woman who collects torture devices, and a socialist--maybe communist--best friend who is in love with a priest, have in common? 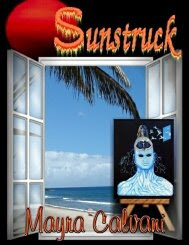 They all live in steamy San Juan, Puerto Rico and they can all be found in Sunstruck, the latest release from talented author Mayra Calvani. I've read several books by Calvani, but nothing could have prepared me for what I found in Sunstruck. Realizing how difficult satire can be to pull off, Calvani's witty prose captured me right away and kept me turning the pages. Written in third person present--a challenge in and of itself--Sunstruck tells the story of Daniella, a college student studying architecture, who is trying to find her place in the world while surrounded by the most bizarre individuals. From Tony, her live-in boyfriend whose obsession with LSD is only equal to his hatred for Daniella's cat, to Daniella's ex-husband who is married to a woman better known as Lady Dracula because of her gothic appearance and strange collection of torture devices, the further into this book you get, the stranger they all become. Just when you think you've got the situation figured out, you discover you're not quite there yet. Calvani has taken human nature and put it under a microscope--a warped and slightly cracked microscope. The chapters are short enough that you can read several in one sitting, but you won't be able to put the book down anyway. I was a bit cool on the cover art, but it captured the essence of the book well, and the cat on the back is absolutely gorgeous. Proving once again that she is a master storyteller in multiple genres, Sunstruck by Mayra Calvani is both witty and brilliant. 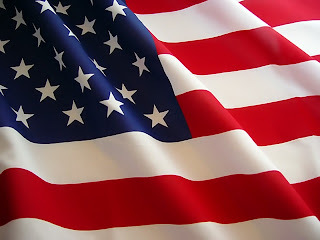 Happy Memorial Day everyone! As we remember those men and women who have lost their lives in service to our country, may we also take time to think and pray for those currently stationed in places around the world ensuring freedom and justice for all. Herbert Howard Jones is on a virtual book tour to promote his young adult fantasy novel, The Pyewiz and The Amazing Mobile Phone. Herbert stopped by The Book Connection recently to talk about his antagonist, the Pyewiz. You can find that post here. Since his visit, a video trailer has been created by yours truly for The Pyewiz and The Amazing Mobile Phone. View the trailer below and feel free to leave your comments here. Today’s special guest is author C.W. Gortner. The trade paperback of his historical novel, The Last Queen, was recently released by Ballantine Books (the hardcover was released in July 2008). 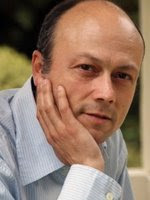 We’re going to talk to this talented author today about Juana of Castile, the heroine of his novel. Welcome to The Book Connection, Christopher. It’s a pleasure to have you with us. Can you please tell our readers a bit about yourself? I write historical fiction; my novel is THE LAST QUEEN, published by Ballantine Books, Random House, was recently released in trade paperback. I’m passionate about books, animal rights and the environment. I’ve lived in the San Francisco Bay Area for the past twenty–five years but I’m half-Spanish by birth and also call Spain home. I hold an MFA in Writing with an emphasis on Renaissance Studies and have traveled extensively to research my work. When did you decide that you had to write about the life of Juana of Castile? I’ve been fascinated by Juana for most of my life. In my childhood I lived near a ruined castle that had belonged to Juana’s parents; and during a trip to Granada, where Juana is buried, I found myself entranced by her marble effigy. Most school children in Spain know the tale of Juana la Loca but I immediately wanted to know more. What was she like in real life? Did she really pull her husband’s bier behind her throughout the country, venerating his corpse? Was she truly mad? What happened to plunge her into such despair? The book is full of period details and rich descriptions. How long did it take you to perform your research for this book and did you travel to any of the locations mentioned within its pages? It took six years to research and write THE LAST QUEEN, including several trips to Spain. I did visit most of the sites mentioned in the book, as fortunately many of them are still extant, if somewhat changed since her time. The challenge after the research was to sort through it all and decide what I wanted to write about. Fortunately, it soon became clear that I wanted to focus on the woman herself— the fallible, humane, courageous and often lonely woman, whose experiences, while different from ours, certainly, are universal in her struggle to balance life and duty, betrayal and love. I even took a drive from Burgos to Toro in Spain, tracing Juana’s own trajectory. You’ve written The Last Queen from Juana’s point of view. Did you find that difficult? I didn’t, actually! What I found most difficult was getting up the courage to actually do it. I had written a previous version of the novel in third person, but my agent told me she felt something was missing, that Juana seemed too enigmatic. My agent didn’t tell me how she thought I could fix this, but as I began revising the manuscript, it soon became apparent that what I really needed to do was slip into Juana’s skin, to experience her life as she might have, through her eyes. It freaked me out at first, to attempt to write in the first person as a woman, but then I realized that writing is one art form where gender shouldn’t matter. We are invisible: our characters tell the story. And while I had to do some research to portray certain experiences, like giving birth, there were many other moments and emotions that Juana felt that were very familiar to me. You’ve portrayed a different picture of Juana of Castile than what the world has been led to believe about her. Were you ever concerned that someone would question your portrayal of Juana? Well, I thought it might raise some controversy but it wasn’t something I worried about. No other novelist had attempted to depict her side of the story before and frankly parts of her myth were so ludicrous I was surprised no one had challenged them before. I have had a few e-mails from readers who actually sounded offended by my portrayal of her, which to me just proves how deeply we want to believe the myths told about historical characters. In a way, it’s much easier to say, “Oh, she was crazy, the poor dear,” than look at the far more unsettling possibility that she was in fact not mad at all. Juana herself left almost nothing in her own hand, and much of what she said and did was recorded by men whose prejudices reflect the era. I always kept in mind that whatever I read about her was, in essence, an interpretation by someone who wasn’t necessarily disposed to show Juana in a kind light. While today we understand the effects of prolonged stress on the human psyche, in Juana’s era no one would have considered this as a possible cause for her behavior. When I carefully examined each of her allegedly erratic moments within the context of her circumstances at the time, her behavior became not only reasonable but often quite justifiable. I think that we need to challenge the old historical guard at moments; in the case of women in particular, history can deceive. Juana is betrayed by so many people she should have been able to trust. How do you think that impacts how she has been viewed by future generations? I think that we want to believe that somehow she was to blame for her misfortune. It’s very discomforting to think that she was betrayed, that very few people actually fought to save her from her fate. Future generations were indoctrinated by the historical record to believe that she was unstable and incompetent to rule, and she had to be dealt with accordingly. It was a concerted effort on the part of those who usurped her throne to obscure the truth and build up a legend of this mad queen so distraught over her losses she fell apart. Her son Charles V in particular had to justify his continuing imprisonment of her because he held her throne, and to admit that an injustice had been done to his mother would have been to admit he was not, in fact, the rightful ruler of Spain – which he wasn’t, not until her death. Juana was locked away because others wanted her power, and I think that’s one of the hardest things of all to accept. We want to pigeonhole events and people so we can better understand them, and to look at Juana’s fate as I think it occurred is not easy. Let’s assume for a moment that tragedy did not strike Juana’s family and she did not inherit the throne when her mother died. What do you think this would have meant to Juana’s marriage? Do you believe her husband, Philip would have acted differently? I don’t honestly know. Juana and Philip seemed quite happy in the initial years of their marriage, and it’s possible they might have remained so had she not become her mother’s heir. In my opinion, Philip was not as mature as she was, and perhaps later on they would have gone through difficulties. I certainly don’t think it was in his nature to remain faithful to her, and that no doubt would have caused friction. But their roles would have been reversed; as his father the Emperor’s heir Philip would have eventually inherited the Habsburg Empire and Juana would have been empress, his consort, mother of his children but not a ruler. In becoming queen of Spain, she in fact inherited more power than Philip and he just couldn’t accept it, not in a woman and not in his wife, whom he believed, as did most men of his time, should be subservient to him. One thing that comes through clearly in The Last Queen is the level of greed and lust for power on the part of many of the male characters. Was the level of corruption as bad as is portrayed? It was probably worse! The 16th century was very brutal as far as politics go; and at court power was everything. Men sacrificed their souls in pursuit of it. I think we desperately want to see the past as a glamorous, damask-laden time of castles and chivalry, but the truth is romance was a rarity, especially among royals. Women often were married off for political and familial advantage, and disposed of limited legal rights. And still, we find many examples of courageous and defiant ladies, Juana among them. What is one thing you would like readers to learn about Juana of Castile? That she was a woman who did the best she could under extraordinarily trying circumstances. Could you recommend a good resource for readers wanting to know more about Juana? Unfortunately, there are few biographies in English about her, and fewer in print. I can recommend Bethany Aram’s nonfiction study, Juana the Mad: Sovereignty and Dynasty in Renaissance Europe. I’ve just finished a novel about Catherine de Medici, which will be published by Ballantine Books in 2010. Catherine de Medici is a very misunderstood and maligned woman in history, accused of some of the 16th century’s most heinous crimes. But during my research I uncovered a different picture of this Italian woman who became mother of the last Valois kings and one of France’s most influential queens. Thank you, Christopher for sharing more about Juana of Castile. Best of luck with your virtual book tour. You may read our review of The Last Queen here. Today's guest blogger is Elizabeth Walker, author of the memoir, The Tablet of My Heart. The world turns upside down for a young girl when her father begins a fatal battle with the merciless affliction cancer. Before his illness finishes its devastating rampage through her adolescence, she is confronted by a new demon. She falls victim, by the hands of a trusted adult, to sexual abuse. The devastation of these events causes her to question God’s role in her life, and whether He ever loved her at all. The Tablet of My Heart is a collection of poetry from the journal of that young girl. It is narrated by the author of the journal herself, who paints a portrait of words illustrating her emotional journey from hopelessness to healing. It is dedicated to victims of abuse; to bring to them the realization of hope that there is a light at the end of the silence. You can visit Elizabeth online at www.tabletofmyheart.net. So often healing comes through means we never expect. As a matter of fact, I think that generally people in the midst or even at the tail end of devastation think that healing just never comes. That is what I thought at the beginning of my journey. Healing could not possibly be strong enough to devour this pain. I did not decide to keep a journal to heal. As a matter of fact, I didn’t decide to keep a journal at all, my journal kind of …happened to me. I feared trusting anyone with the filthy, dark, ugly secret that I was harboring. The secret of sexual abuse. The problem was that the weight of the sexual abuse was boiling up from the very pit of my eight-year-old soul and threatening to spill over if I didn’t let it out. That pain, in conjunction with the death of my father (my father was not my abuser), which came shortly after the abuse began, left me in a state of absolute loss, confusion and loneliness. Without the strength to overcome the fears associated with telling on my abuser, in a state of absolute desperation I turned to ink and paper. In doing so I accidentally found a counselor and friend. Every time I wrote, every time the ink spilled out of my pen into that journal a little bit of pain spilled out of me. I didn’t exactly recognize that what I was doing (writing) was helping me until later – but what I did know was that when I wrote I was able, in that little instant, to sort through my feelings and fears without consequence. No fear of judgment, no fear of being called a liar, no fear of being viewed as bad or being accused of overreacting, just no fear. The secrets that I told my journal were raw, they were without restraint or stutter because I knew that I could trust those pages. The process was similar to painting a picture. When a painting begins, it just looks like paint on a canvas without form or purpose. But the more you paint, the clearer the picture becomes. My journal illustrated my pain for me. Of course it couldn’t be seen by looking at only one or two entries, but as more and more words fell out of my heart onto the pages, often in the form of poetry, I found myself looking at a portrait that explained the reasons for my emotions and gave me clarity. My journal entries and poetry walked me through the pain of the loss of my father step by step, from the anger and confusion that knocks you to the ground when you experience the death of a loved one, to the memories of him where I was eventually able to find comfort. My writings helped me determine that I needed to tell someone about the sexual abuse, because writing gave me the priceless opportunity to dissect the pain in order to learn what I had to do to get rid of it. The same way that a shaken soda pop explodes when you remove the lid, or a steaming pot boils over onto the hot burner, a person’s emotions are real even if not tangible and they will eventually become uncontainable without a way to release pressure as it builds – and will most certainly become tangible in the havoc they can wreak when they explode. Writing was my "release valve". As I said in my book, The Tablet of My Heart, "There is no doubt in my mind that it was God who chose the gift (the tablet that became my journal) His timing is beautiful." The healing abilities that my journal and the poetry I wrote in it had in my life during my most difficult hours are immeasurable. I will cherish this friendship, as even to this day my pen and paper have never betrayed me. These days everyone has a society-driven mindset and totally forget to laugh, especially at themselves. This may be cliche but I truly believe that laughter is the best medicine and I think everybody should laugh every day. Period. Over the years as a person blessed with the fat gene, I have been in many situations where if I could not find humor I probably would end up on the couch in the psychiatrist's office. This book is about as politically incorrect as it gets for such a subject but it is also based on reality. This is a reality that many women have just like me, but do not think they can (or should) at times just laugh about it. My intention when I started writing this book was to hopefully give insight to many who could never relate but at the same time perhaps provide a different perspective to women just like me. It is a point of view that has given me the strength to live my life happily and project these feelings onto everyone I come in contact with. 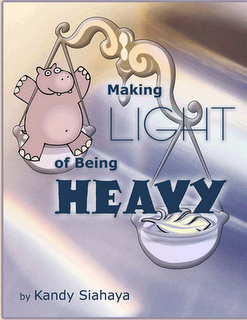 I have a great sense of humor and a quick with and guarantee you will be laughing (and thinking) with each chapter of Making Light of Being Heavy. Kandy Siahaya was raised in a small town in Maine where she graduated from high school in 1984. She worked her way up from her first job as CSW to Manager of Kentucky Fried Chicken and ended up in Brunswick, Maine. When she decided to leave the fried chicken business at age 22, she packed up her little Chevy Chevette and moved to Fort Myers, Florida where she worked as a waitress and had a great time as a single girl in her 20's. Reality hit when she was 25 years old and went back to Maine and received her Associates Degree at Beal College and promptly moved back to Florida and started a career in medical transcription. In 1995 at age 29, she met her future husband and moved to North Miami Beach, Florida, and continued with transcription starting her own business. In 2002, Kandy left North Miami Beach and moved back to Maine with her five-year-old son and eventually divorced in 2005. Kandy still does medical transcription but had an unexpected decline in work which left her with a lot of time on her hands. This is when she decided to write a book. This is something she had been thinking about for a few years but never had the time because she was always so busy with her business. It was meant to be a quick and funny read, something to brighten the outlook of many that really do not see the light through their own tunnel vision. It was also intended to be insightful for those that could never possibly relate to this specific subject. Kandy has succeeded in doing just that with Making Light of Being Heavy. For more information please visit www.makinglightofbeingheavy.com. Today, Kandy shares with us a little incident involving a cruise ship and a shower. Ah yes, one of those terrible moments….First let me intro this with a little history. Many may recall the show The Love Boat back in the 1980s. I loved that show! I still remember the song - “…The Love Boat soon will be making another run, The Love Boat promises something for everyone, set a course for adventure, your mind on a new romance…” I used to daydream about being on a cruise ship and going to exciting places and having fun all night dancing and going to the shows. I couldn’t wait until the day I could go on a cruise myself and the day did finally come a couple of years after my son was born. We were going on a five-day Carnival cruise stopping in Key West and Cozumel. I was so excited. It was everything I had imagined and even better with yummy drinks and food everywhere. That is until I went to use the shower. Now I understand that they design these ships for maximum capacity and that is all good unless you are a little heavier than the average cruiser. I was attempting to take a shower in my luxurious shower stall which seriously didn’t appear to be more than a foot wide when it seemed like there was a problem with the water. It kept going on and off, on and off. I was starting to get a little irritated until I realized that with every move I made because it was such a tight fit I kept hitting the knob and turning the water on and off! I still laugh when I think about it. The people at Glyde.com contacted me recently and asked if I would review this new site that allows visitors to buy, sell and organize used books, DVDs, CDs and games. Since the site features books I thought it would be a good fit for The Book Connection, but it is going to be different than my typical review. I will list what I liked about Glyde.com and where I felt the site could use some improvements. Let's start with the good stuff. Unlike many sites that contain so many graphics and so much text your eyes don't know where to settle first, the plain background behind a ticker of available products has some appeal. The site also isn't crowded with a lot of promotional garbage. Glyde.com has a nice selection of products in a variety of genres. There is a drop down box that allows you to search products by genre or by game console. You can also click on "See All" so that you get a bookshelf view of these products rather than the ticker version. Similiar to what you will find on Shelfari, Glyde.com allows you to organize your books, games, DVDs and CDs on a virtual shelf for others to get a glimpse into your tastes. While you don't need to log in to browse Glyde'com's selection of products, you do have to create a username and password to organize your stuff. The log in process is simple and painless. It took me under fifteen seconds, and there is no confirmation email required. You can also create a neat widget for your blog, social network profile, or any webpage that supports Flash. Now let's move onto the areas I would like to see improved. While the homepage is uncluttered, its gray background is drab and boring. If I had stumbled upon this site by accident, I don't know that I would have wandered any further after seeing that dull homepage. Perhaps a Windows blue or some other eye-catching color would help. The site's search engine could use a little work. When I typed in "Michael Shaara" I received no results, but when I typed in "Shaara" I received several results, which included books by Michael Shaara. I repeated this several times to make sure I didn't spell the name incorrectly, and received the same results each time. I did not decide to buy or list an item to sell during my initial visit, but I might just to see how the whole process works. What I did notice, however, is that like eBay, the shipping charges on some products can be a bit high. A used copy of Fancy Nancy and the Boy from Paris in acceptable condition sells for $2.25; but with shipping the buyer will pay $6.03. I can go to Walmart.com and buy a new copy of the book for a total cost of $5.80 (includes shipping). I found the same thing with Halo 3 for XBox 360. There is a used copy on Glyde.com listed in good condition for a total cost of $38.81 (includes shipping). Walmart.com offers a new version of the same game for $42.43 (includes shipping), and if I decide to have the game shipped to my local Walmart store, I pay no shipping. Now, granted, buying from Walmart.com versus Glyde.com may not be comparing apples to apples, but during these tough economic times I firmly believe that consumers are looking to save money however they can, and therefore, this could be a deterent to Glyde.com's success. The one policy that I have a hard time swallowing is the buyer having to pay a portion of the shipping charges to return a product if that item is not as described. If I am purchasing a product from a website, I must have faith that the seller has listed the product correctly. As the buyer, I shouldn't be penalized if the seller has incorrectly listed a product. I also don't care for the fact that all returns must be initiated within 48 hours of receipt. I regularly purchase products online and there are times when I don't even open the box for 72 hours or more, never mind have time to inspect the product to make sure it's what I want. Lastly, I wish there was some other way to contact Glyde.com than email. While this is not unusual, and email is my preferred method of communication when purchasing online, it would be nice to have a 1-800 number to contact in case you need quick resolution or have the desire to speak to a human being rather than wait for a return email. Overall, I see Glyde.com as having great potential. It's newly launched, and therefore, has nowhere to go but up. A bit more eye-appeal on the homepage, and reconsidering its policy to have the seller pay for a portion of the shipping on returns, will have me using this site more often. 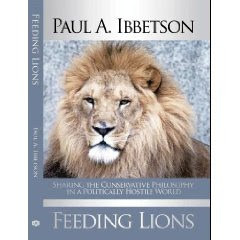 A thought-provoking, well-written, and often humorous collection of articles can be found in Feeding Lions: Sharing the Conservative Philosophy in a Politically Hostile World by Paul Ibbetson. Ibbetson has collected some of his most widely read articles in an easy-to-digest format that shares the overall conservative philosophy. More than preaching to the choir, Ibbetson's engaging and conversational style will appeal to both conservatives and liberals. Discussing such topics as: the Fairness Doctrine, the War on Terror, the Patriot Act, global warming, and border security, the author accurately and effectively presents the conservative worldview, how it differs from the liberal worldview, and how those differences shape world events. Included with these articles is additional commentary by the author, black and white photos, a selection of reader responses to some of Ibbetson's articles, a conservative website directory and a conservative radio directory. An absolute must read for anyone interested in politics, current events, or in understanding what conservatives truly think. Feeding Lions by Paul Ibbetson is just as brilliant as it is funny. Congratulations to all our winners! We'll be contacting you soon. Our thanks goes out to everyone who participated in this special book giveaway, and to Books-A-Million and Minotaur Books for allowing The Book Connection to offer this giveaway. If you would like to purchase a copy of The Last Child by John Hart you may visit Books-A-Million. Look for our review of The Last Child, coming soon! And be on the lookout for more great book giveaways from the blog that connects readers and writers. Pay a visit to the Children's Book Week website to find out the winners of this year's Children's Choice Book Awards. 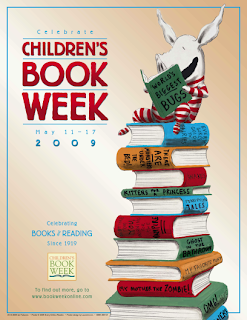 You'll also find a history of Children's Book Week--which began in 1919, and special pages for kids, teens, teachers, librarians and booksellers, and publishers. What did you do to celebrate Children's Book Week? SPECIAL UPDATE: As you know, we are running a special book giveaway for an autographed free hardcover of John Hart's The Last Child, which runs through tomorrow. I have just been informed that I can offer 3 copies for this giveaway, so I will be choosing 3 winners on May 18th for this intricate, powerful story of loss, hope, and courage in the face of evil. Each winner will receive an autographed copy of Hart's book. You can read more about The Last Child and enter to win here. The last day to enter is Sunday, May 17th, so don't delay! Random.org has spoken and the winner of our Spring Book Giveaway is DEEDLES! Congratulations! 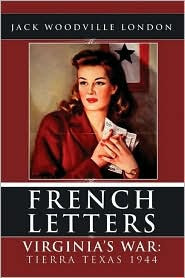 Deedles has won a copy of French Letters by Jack Woodville London. You can pick up your own copy of French Letters at Amazon.com. Thanks to everyone who participated. 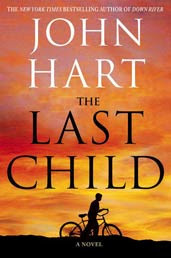 Don't forget about our book giveaway that ends tomorrow for John Hart's The Last Child. You can enter to win here. Our special guest today is Hopeful But Frustrated Teacher (HBF Teacher). The author’s new book, No Teachers Left Behind, tells the story of a fictional school system—the frustrated teachers, its overpaid administrators, and the ignorant and unsupportive parents of the students who show little respect for authority. Welcome to The Book Connection. We’re thrilled to have you with us. Please tell us a bit about yourself. How long have you been teaching? What made you want to become a teacher? And, did you ever envision yourself as an author? I live in Atlanta Georgia, and I’m a happily married mother with two children. Growing up, I was lucky enough to have some really caring teachers who challenged me and inspired me to learn – that is why I had to become a teacher. My desire to become an author arose sort of from a similar path. As a student, I was disappointed in the endings of so many books and stories that I got to the point where I was constantly complaining about them. A teacher suggested that I rewrite an ending one day, and the writer in me was born. The 1st draft is always the easy part. I actually think I wrote No Teachers Left Behind in a month. The editing and proofreading seemed to take forever – around 3 months. Were there any obstacles or challenges you faced during the publishing process? I really don’t feel like I went through any major obstacles or challenges during the publishing of No Teachers Left Behind. Still, publishing is such a pins and needles ride. You’re always on your seat because you want to make sure that you end up with your very best efforts. Tell us about No Teachers Left Behind. What is it about and where did you find the inspiration for it? I wrote No Teachers Left Behind as medicine for myself. I was at the point where I was starting to feel quite disillusioned as a teacher. I was depressed by the red tape and all the other stuff thrown at teachers on a daily basis. No Teachers Left Behind helped me deal with my frustrations. In the book, I reveal the frustrations through the voice of a fictional middle school staff. Why did you choose the format of poetry, emails, and excerpts to portray the lives of the people at Vilyon Middle School? It just sort of came to me when I thought about the diverse group of people who choose, everyday, to become teachers. We come from so many places and speak in so many different voices. It just made sense. Some of the language in this book is on the strong side. How do vulgarities and obscenities help or hamper the message you’re trying to get across? Yes some of the language is kind of strong, but No Teachers Left Behind is realistic fiction. In the school where I work, this language is all too frequently the norm. Some people may find it offensive and choose not to read the book because of it, yet at the same time, as an author, telling my story, I had to be true to my story. One of the themes that runs through the book is how administrators claim that their decisions are to help the children. Do you believe that to be true? Not being an administrator, I can’t really speak as far as the intent behind an administrator’s decision. Sometimes though, as a teacher, who has to deal with the same bad behavior from the same child over and over again, I have to wonder about the logic behind my principal’s decision to keep that child in my class. Children are important, but at the same time, I can’t help but think teachers are just as important. Without them, where would the students be? Do you think the politically correct desire to not leave children behind is what has created many of the challenges teachers face today? I think the “no child left behind” act did indeed create many of the challenges that teachers are now facing. So much emphasis was placed on “not leaving children behind” that too much responsibility was taken away from the students and their parents and placed onto the teachers. Education is not a one-sided thing. It takes parents, students, and teachers working together to be successful. There is an email on Page 187 that states, “Please be reminded that as effective teachers you should never sit down when you have students in your class. Statistics show that teachers who sit down during classes have a higher rate of discipline problems.” I have to ask, is this for real? Did someone ever send you a memo like that? In our daughter’s second grade classroom, the teacher removed all the tables, installed a reading loft with seating, and brought in a couch and several easy chairs. Instead of sitting at tables, the students use clipboards and sit where they choose to perform their daily tasks. What do you think of that idea? Is this something that would be allowed in your school district? I love the idea of allowing students to create their own comfort zones. Students learn best when they’re comfortable. I don’t think my school district would have a problem with this idea. I can see them being all for it if the students can achieve their academic goals in an environment like this one. If I was teaching second grade, I would definitely enjoying having a similar setup in my classroom. Right now, in middle school, with the students I have, I’m not sure it would work for me because my students are so easily distracted. What challenges have been brought upon teachers because of English as a Second Language students and the increased amount of students requiring evaluation and special arrangements for special needs? There are some challenges because of the increase in the number of ESOL students and students with special needs, but these challenges are minimal. One good thing about the United States’ system of education is the fact that it is always producing new strategies and teaching methods for teachers to reach their entire student populations. The neat thing about these strategies is that they don’t stand out as being different. Most of the strategies are methods teachers can use with the entire class. At the end of the day, most students learn in similar ways so once again, the challenges are minimal. Is there a way for America’s system of education to better address these issues than they are now? As a teacher and a parent, even I am conflicted on a solution to this problem. There are so many variables. Still, I must admit to feeling teachers should have a greater input into America’s system of education. If nobody asks us what we think and then changes are made, then we truly are being left behind. It seems that students have changed a great deal since I was in school. In high school, I remember there being one stabbing incident and the whole school was in an uproar over how something like that could have happened. Nowadays, it’s not abnormal to read in the news about shootings, stabbings, even massacres in our public schools on a regular basis. How are teachers able to deal with these issues? It’s confusing. We think about it, and we don’t think about it. You know it’s out there and a possibility so you keep your eyes open, yet at the same time, you pray it never happens. You can’t do anything else except quit, and if you became a teacher for the right reasons, then quitting is really not an option because deep inside, you truly believe you can make a difference. I think that’s why I keep showing up everyday. What kind of support do you get from parents when discipline issues arise? It depends on the parents. Some are really supportive, and it’s a great thing. Problems arise when the parents are nonchalant and/or just live in a state of denial and look immediately towards the teacher as the source of the problem. How does lack of support from parents make your job harder? Do you think some of the lack of support is due to there being so many families where both parents are forced to work? A lack of support from parents makes my job incredibly hard. Both parents working – I can see that being a minor factor in the lack of support, but I don’t see it as being a huge factor. Both my husband and I work. He works 60 to 80 hours a week, and I’m often grading papers at home and creating lesson plans. Still my children know I will not tolerate them disrespecting an authority figure. My children also know the importance of a good education, and even my youngest, in the fifth grade, is always asking her teacher for extra work (and this is on her own) even during holiday and spring breaks. What is the main thing that you want readers to come away with once they’ve read your book? After reading No Teachers Left Behind, I hope readers will view teachers differently. I would like for parents to reach out to their children’s teachers and get to know them better. The old saying “it takes a village to raise a child” is still very much true. 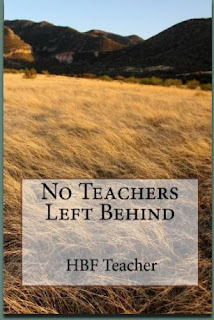 Where can readers purchase No Teachers Left Behind? Readers can find the book at amazon.com. What are your plans for promoting No Teachers Left Behind? I am doing a lot of direct marketing as well as an exciting blog tour with pumpupyourbookpromotion.com. I am also meeting readers through myspace, twitter, and facebook. I really appreciate you taking the time to speak with me today. I have enjoyed the interview. Thank you for spending so much time with us today, HBF Teacher. Good luck with your book. Joining us today is Dr. Barbara Weaver Smith, author of Whale Hunting Women: How Women Do Big Deals. Barbara is the president and CEO of The Whale Hunters, a training and consulting company helping clients accelerate their business growth through large account sales. We’ll discuss Whale Hunters, her latest book, and how even small companies can be whale hunters. Welcome to The Book Connection, Barbara. It is an honor to have you with us. Please start off by telling us a bit about yourself and your background. Thank you, Cheryl. I could say, and I think many women will resonate with this fact; I’m in my fourth career! Early on, before I completed my formal education, I had several service and secretarial jobs in retail, higher education, and manufacturing. Next I began a higher ed teaching career at two universities, ending up with significant administrative responsibilities as an academic dean. I moved on to become president of a statewide cultural nonprofit organization. And thirteen years ago, I took the plunge to become an entrepreneur. My husband Larry and I between us have four adult children and seven grandchildren. We live and work in downtown Indianapolis, and we spend significant time in Phoenix, where we’ve opened a new office. How did The Whale Hunters begin? I have had a consulting business since 1996; my first business supports deal-making in higher education and large nonprofits. I entered the market of business owners/entrepreneurs with a former partner, about six years ago. He had the concept of sales process development, and I had the concept of organizational learning and change. We built out the intellectual property of whale hunting over several years’ time. As we began to envision different scenarios for the company’s future, I was successful in buying out his interest last December. Did you have any idea how successful this company would be? I always believed it would be successful. 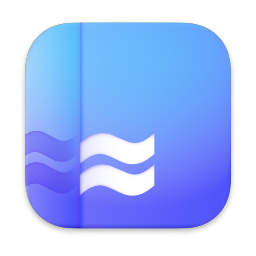 Our team is now taking the company in some very new directions—especially building a strong online community space where we can support whale hunters at a distance and in a way that is affordable for a large number of companies. Cheryl, I was an English major and an English professor—I have three college degrees in English! So I have always been a writer. What’s more interesting is writing for a new audience—I think it is a more direct, perhaps even more authentic kind of writing. Processes that I have invented, methods that I have learned in practice with clients—I have a strong desire to share those with others who want to hunt whales. Let’s talk about Whale Hunting Women: How Women Do Big Deals. Where did the idea for this book come from? This book came first from my consulting experiences with The Whale Hunters. Disproportionately, our clients have been women-owned businesses or companies with a strong female executive team. It’s been quite extraordinary. Secondarily, ideas have come from women who are leaders in education systems and in community development and philanthropy, at both the executive and board levels. Many of these women have read my first book and helped me to realize that they, too, are whale hunters. So now it’s not only about business and sales—it’s about doing big deals in all kinds of ways. Why is that women are well poised to hunt whales? I believe that women have innate gifts that are essential for business success in today’s complex sales environment. Whale hunting requires cooperation, teaching, patience, preparation, empowering others, and trust in a well-prepared team. Not only are we born with these gifts, we are socialized to practice them and rewarded for these so-called “soft skills.” Whale hunting is not about rock stars—it is about disciplined, high performing teams. I think it’s a natural for how women prefer to operate. Can even small companies be whale hunters? Yes. Any company can aspire to grow fast by selling bigger deals to bigger customers. That’s what whale hunting is all about—getting deals that are 10 times or 20 times the size of your average. So the size of what constitutes a whale for one company might be much larger or much smaller than another company. It doesn’t matter. The point is that you grow your company by focusing on ideal clients, larger than the ones you have at the moment, and you build an organization that is not only capable of making the sale, but delivering the products and services at a high level of excellence. How can companies work on their culture to grow faster? I’ve written quite a bit about my notion of a fast growth culture. I believe it’s a combination of resources and collaboration. Fast growth requires that everybody have a sense of the whole and where they fit in—that takes collaboration. And it requires faith that when new work comes on board, the resources will be deployed to get the work done properly. In other words, there is a trust that the company’s growth won’t come about by just expecting everyone to work harder or longer. In a company where people are denied access to important information, and where there is competition for resources, growth stagnates. The way to change is to involve everyone in designing the change model, assign resources according to need and contribution rather than seniority or even-handedness, and engage in a series of conversations about where this village is headed and why whale hunting is a necessity if we are going to survive and thrive. That strategic-level change should be accompanied by relaxation of top-down rules, greater empowerment of the people closest to the customers, and more productive habits of exchanging information and ideas. Tell us about the “Reflection” and “Action” pages found in the book. These pages follow every chapter. Their purpose is to prompt a woman reader to think about the concepts, strategies, or tactics presented in the chapter and apply them deliberately to her own personal whale hunt. It makes the book more like a personal journal in which we can record our thoughts and write down our action steps for a whale hunt. Where can readers purchase a copy Whale Hunting Women? Whale Hunting Women is a downloadable eBook available exclusively on the Whale Hunters website—www.thewhalehunters.com. I blog at http://blog.thewhalehunters.com. I would love to have your audience subscribe to my blog and offer comments. I will personally respond to all blog comments. What is up next for you and The Whale Hunters? Thank you for asking! For the next 18 months, we will focus on our Whale Hunting Women program, conducted in 24 key cities in the U.S. and Canada, and featuring an annual Summit in each community and the opportunity for women to join a local chapter focused on supporting one another in doing big deals. Concurrently, we are building out an online community environment to provide resources, discussion, and training to whale hunters. I would certainly like to thank you for hosting me and to thank all of your authors for spending time to learn about Whale Hunters and Whale Hunting Women. I’d encourage people to visit our website and learn more about our products and services. We have a number of books and audio books available, and we conduct a series of whale hunting workshops around the U.S. Sign up (on the website) for our free biweekly newsletter and you’ll be assured of getting a constant stream of good whale hunting advice plus notice of upcoming training opportunities and community events. Thank you for spending time with us today, Barbara. You’ve certainly given us a lot to think about. I wish you continued success. What Do You Most Want To Know About Soft Sell Marketing? Judith & Jim chose 45 questions that best represent the key concerns expressed by those who answered our survey, and they form the basis for this book. 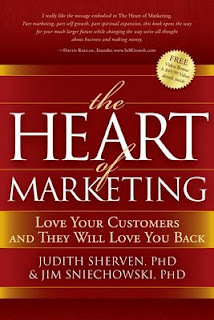 You can find out more at http://theheartofmarketing.com/, but before you do make sure you stick with us to the end and read a letter of recommendation and some endorsements for this book. As you know I’m very careful about what I recommend to you. But this book . . .
. . . is a MUST read for the future of your marketing and the growth of your business. The authors, husband and wife psychology team and Internet marketers Judith Sherven and Jim Sniechowski are respected friends of mine — and they are the voice for what is known as Soft Sell Marketing. Now an international movement, Soft Sell Marketing is creating a heart-based change in commerce — to one of consciousness and conscience, caring and community. And their latest book The Heart of Marketing is now the published voice for this change! Answering 45 questions out of 772 that they received during an Ask Campaign for their “Bridging Heart and Marketing II” conference this book is a soul-inspiring, heart-warming turn-around in how you’ll approach your business from now on. AND when you purchase the book today you receive Judith & Jim’s invitation to get thousands of dollars in Bonus Gifts from their Gift Sponsors — including David Riklan, Mark Joyner, Christine Kloser, Gregg Braden, Hay House, and of course Yours Truly! You’ll even have the possibility to win 2 Tickets to Judith & Jim’s October 9-11 “Bridging Heart and Marketing III” conference (a $997 Value). So get The Heart of Marketing today! AND please pass this message on to all your friends inviting them to get The Most Important Marketing Book of 2009. This title may sound a little ‘hoofy-poofy’ but don’t let it fool you. Even if you’re a hard-nosed skeptic who shudders at words like ‘love’ and ‘heart’ this book will radically boost your sales. Feeling good about yourself afterwards will just be a nice side effect. I really like the message embodied in "The Heart of Marketing." Part marketing, part self growth, part spiritual expansion, this book opens the way for your much larger future while changing the way we've all thought about business and making money. That’s how important this book is to the future of commerce! By the way, a percentage of book sales will always be donated to Habitat for Humanity! It’s ALL in the Connection.